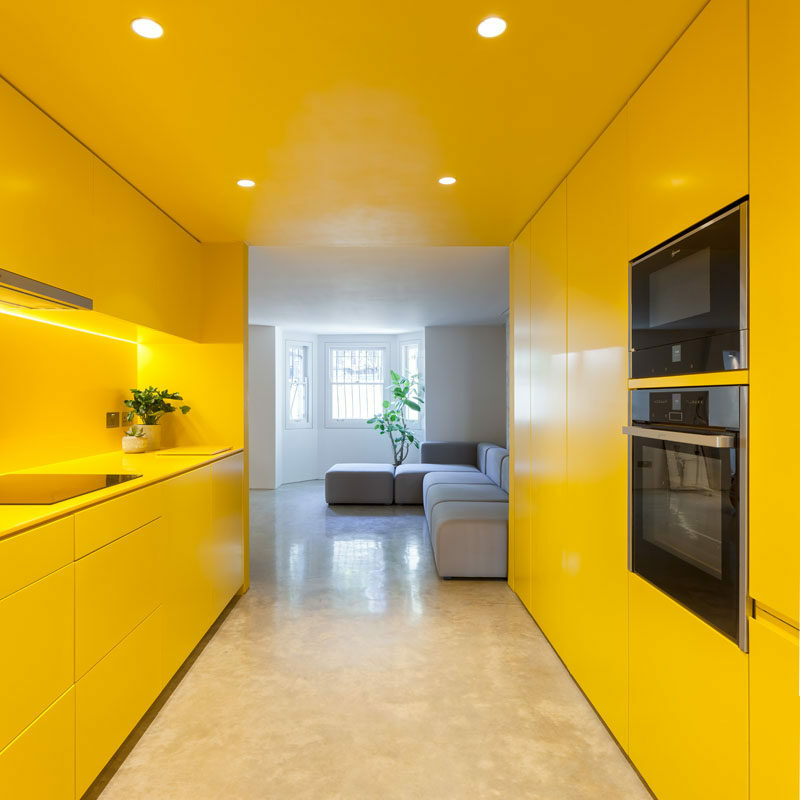 London-based architectural and design practice Russian for Fish, were tasked with brightening up the basement of a Victorian terrace home, which they partly accomplished by their commitment to the color yellow. The first sign of the brightness is from the stairs that lead from the main floor of the home down into the basement. The bright yellow stairs have a simple strip of light that runs alongside them to make it easier to see when it’s dark. At the bottom of the stairs is a living room that’s bright white. A soft grey couch complements the polished, light-toned concrete that’s been used for the floor. Next to the couch is the entryway for bright yellow, modern kitchen. All of the kitchen details, like the minimalist, hardware free cabinets, the ceiling and the countertop are yellow. Hidden lighting underneath the cabinets add light to the countertops, while simple accents like plants add a touch of nature. Here’s a look at the kitchen from the opposite end. 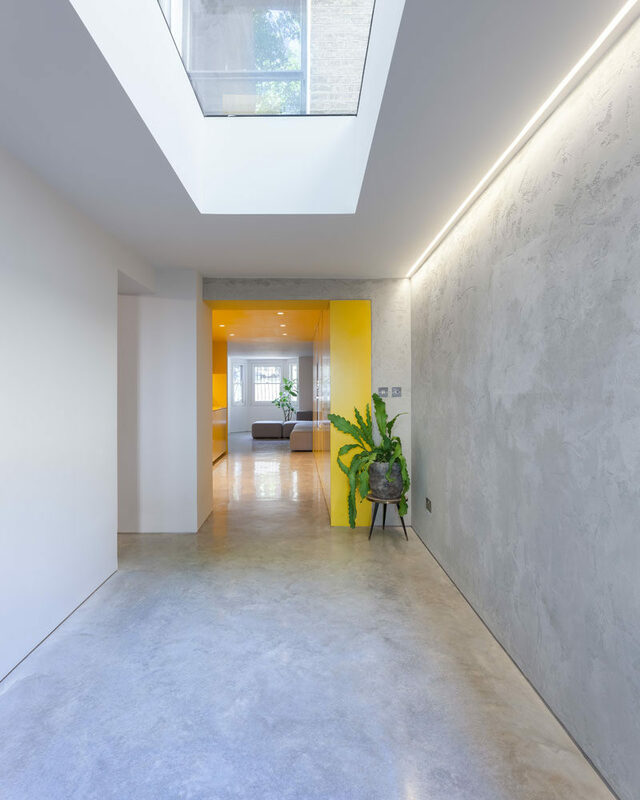 The hidden lighting, a skylight and the yellow of the kitchen ensure that the basement feels bright and open.